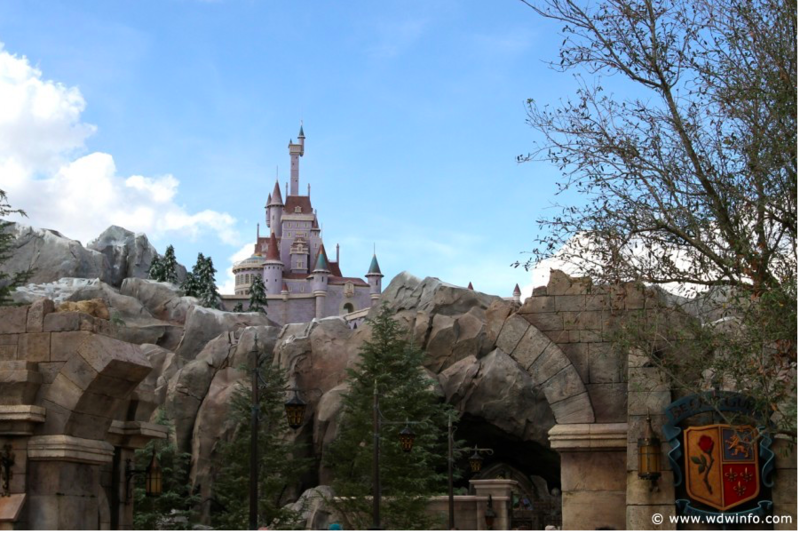 Of all the lands, Fantasyland is probably the land that is the most quintessentially Disney. It was created to showcase the Disney movies and consists mainly of classic dark rides. For me, dark rides are what make Disney — Disney. Amusement parks have thrill rides, but theme parks are much different. It is the theming that makes Disney what it is; that is why the dark rides are so important. 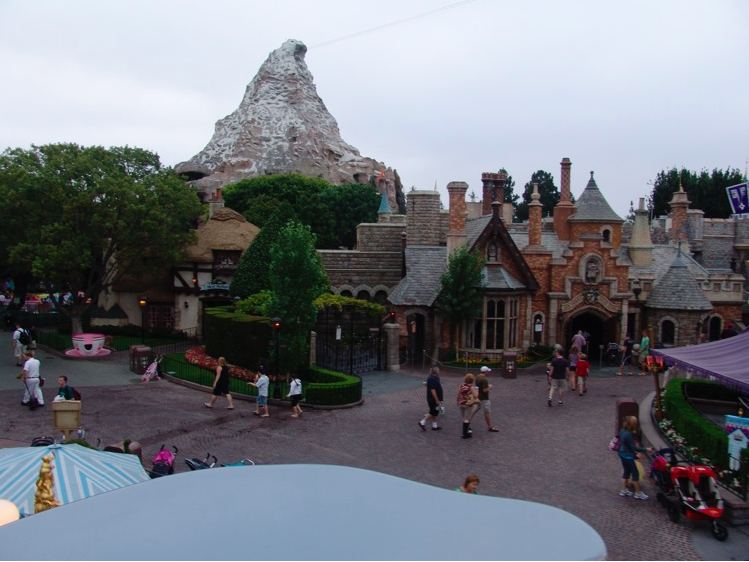 Disneyland’s Fantasyland contains so many rides that its Magic Kingdom counterpart does not. I will compare the rides that are at both Disneyland and Walt Disney World, then I will review the land as a whole. “it’s a small world” has always been one of my absolute favorite attractions at the Magic Kingdom. I love the song; I also love the ideals to it. My heritage is very important to me. I am a mix of European races and I have always wanted to travel the world. “small world” allows me to do that in a small way. The layout in Disneyland was different, but the thing I loved about Disneyland is the hidden Disney characters in the different countries. It was such a fun thing to find those characters. 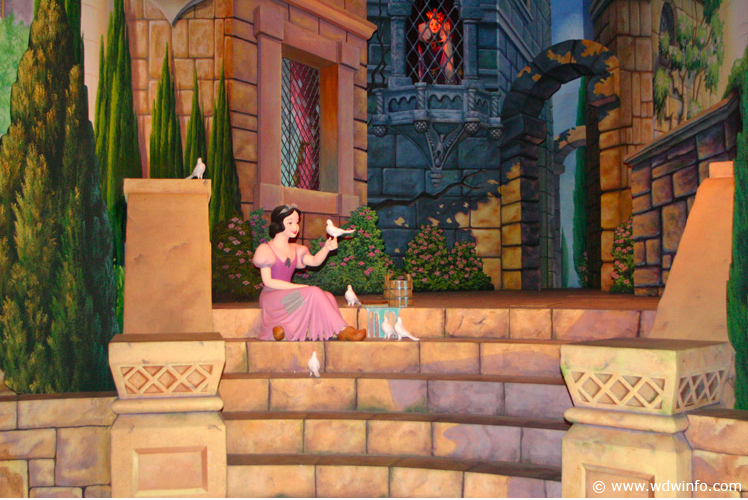 My favorite character in the Magic Kingdom version is the girl with her geese. I just have always loved that. In the Disneyland version, she is still there, so it was like the best of both rides for me with the addition of Disney characters. I also like the safety spiel at the end in all different languages, not just English and Spanish. As a German speaker, it was nice to hear that extra touch! I know what you’re thinking, “Snow White isn’t in the Magic Kingdom!” You’re right, but it used to be, and that is one of the few rides at Disneyland that I have had experience with. (By the way I would rather have Snow White than Mine Train…just saying.) The Disneyland version feels like an incomplete one. The ride plays out just like the Magic Kingdom one did, basically, but you never get the happy ending. Yeah, the Wicked Step Mother dies, but where is Snow White sleeping or even Snow White at the end with the Prince? Other than that, there are no attractions that are the same at Disneyland and the Magic Kingdom’s Fantasylands (besides the Carousel, Peter Pan, and Dumbo, which I did not ride in Disneyland). Magic Kingdom has Mickey’s Philharmagic, which I believe is a great ride. There needs to be more rides with the original characters of Mickey and Donald. This is a great ride if you need a rest or just to sit down. Disneyland missed out on an attraction like that. What Disneyland lacks in 3D shows, it more than gains in dark rides. Dark rides are the quintessential Disney rides. 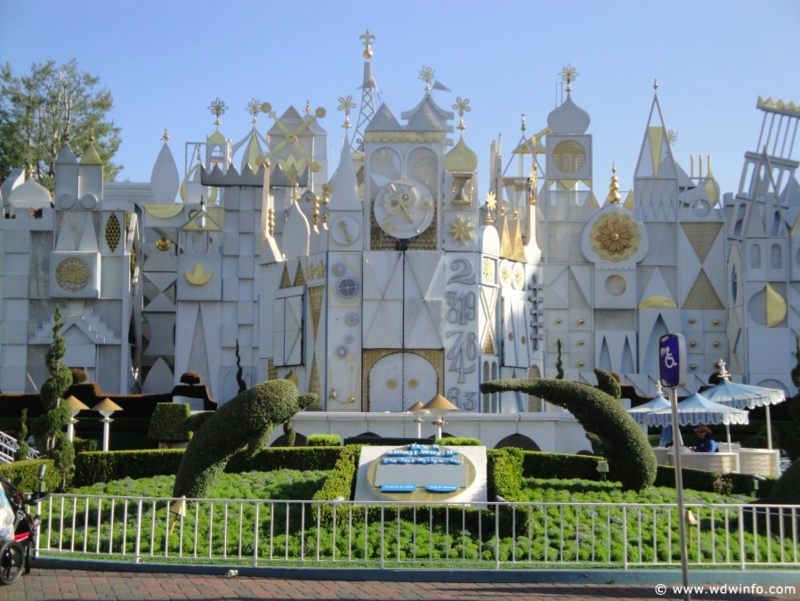 Disneyland has Pinocchio, Alice in Wonderland and Mr. Toad’s Wild Ride, all of which bring a nostalgic feeling. On top of the great dark rides, Disneyland has the Matterhorn Bobsleds, which is a really fun (but uncomfortably rough) roller coaster set on the Matterhorn Mountain. 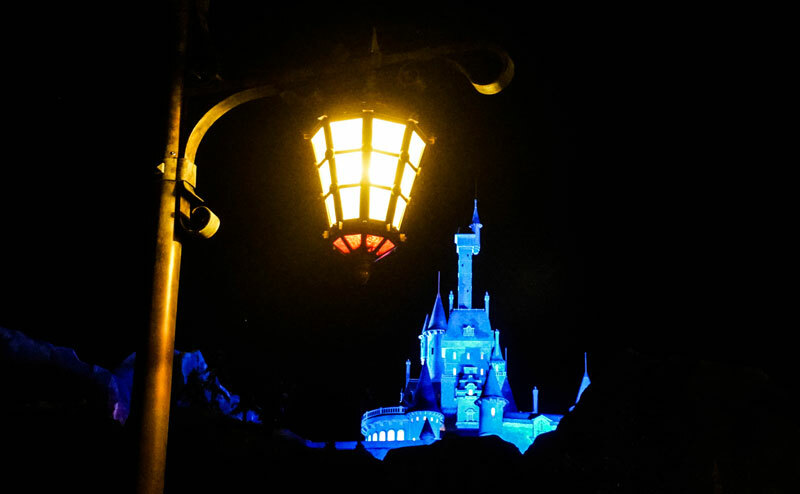 For me, the look and feel of the Fantasyland in the Magic Kingdom is better, especially with the New Fantasyland addition of Be Our Guest, the Village from Beauty and the Beast, Tangled Restrooms, Ariel’s Grotto area, and Storybook Circus. So much time is spent talking about immersion in theme parks. The Fantasyland in the Magic Kingdom was the first place that I remember really feeling as if I was in the movies. I remember walking into Be Our Guest for the first time and being just blown away by the meticulous theming. While I love the rides in Disneyland, and I wish Walt Disney World had more dark rides, based on the land alone I would choose the Magic Kingdom’s Fantasyland. It feels more magical to me, while the overall land at Disneyland feels a bit older.